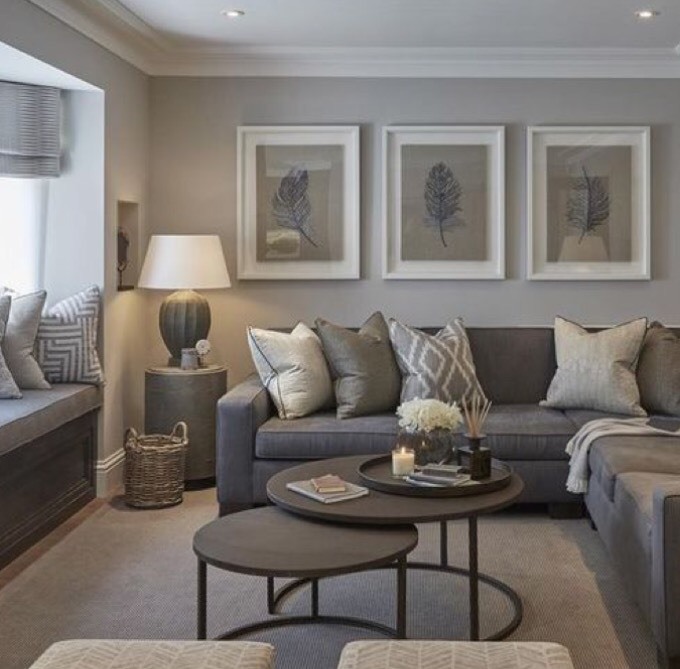 Grey is still going strong in the interiors world and shows no signs of losing popularity. 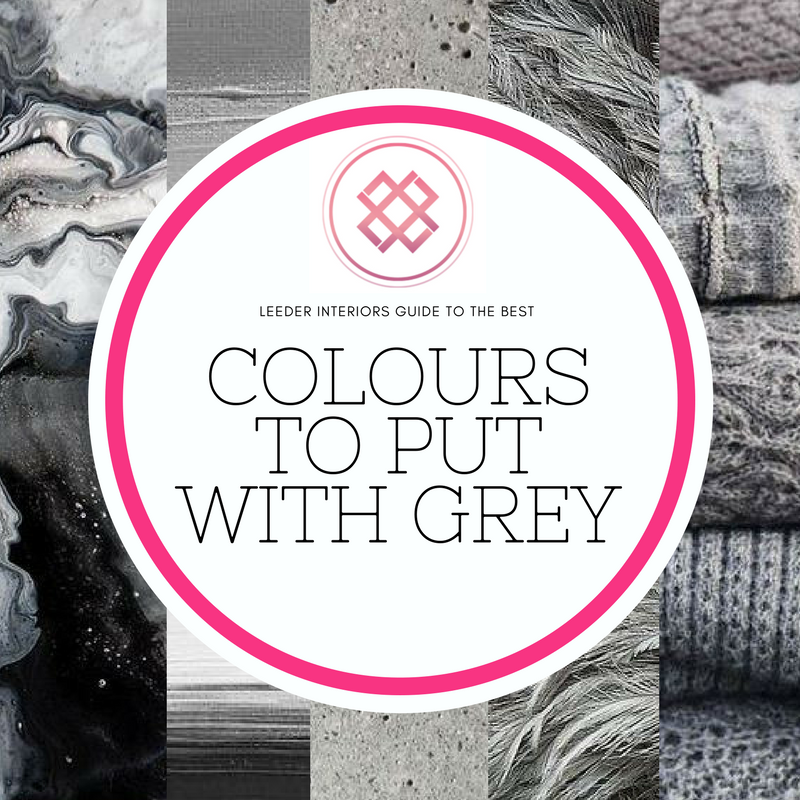 Grey is a great choice for a carpet, a rug, paint colour, window furnishings and furniture. But what colours look best with grey without it becoming too grey and cold? These are my choices of the best colours to put with grey. In my opinion pink is the all time best friend of grey. From traditional to modern interiors, pink is the perfect complement to grey. Pastel pinks in blush tones to bright candy pink, all shades look fabulous with grey. 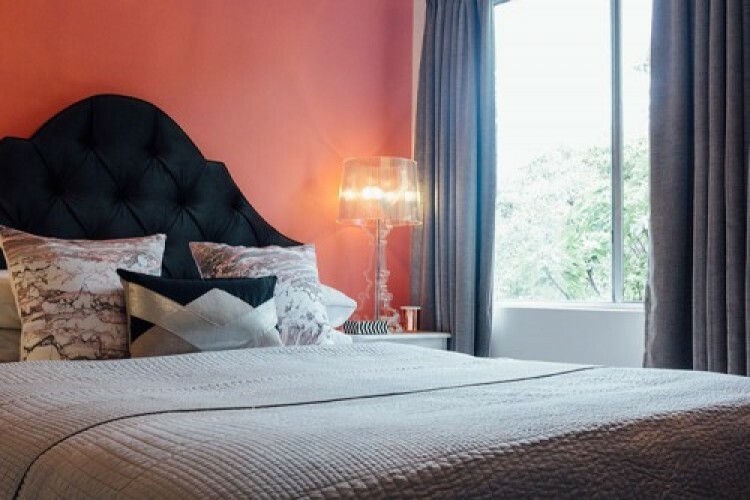 This grey bed has multiple tones of pink as accents, from coral to pastel pink. Styled by Leeder Interiors. The Pantone colour of the year, Emerald , looks stunning with tones of grey. Emerald will add a vitality and liveliness to a grey interior. 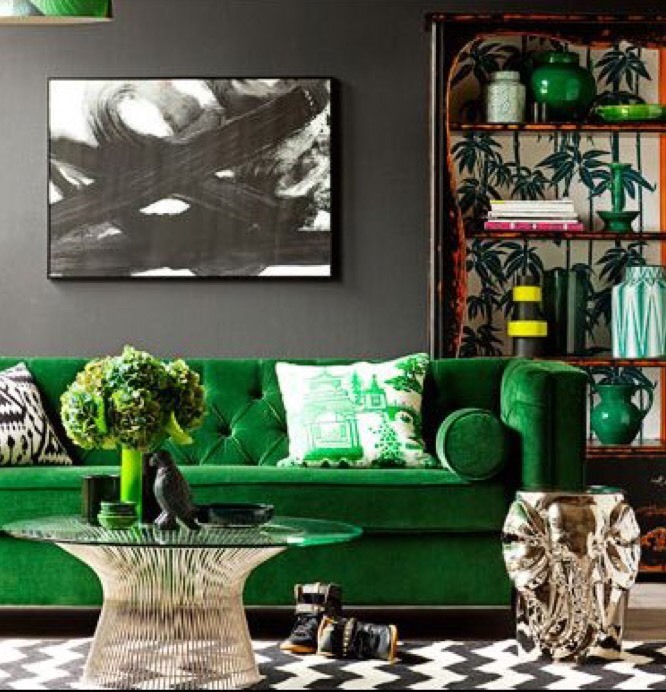 Paired with black and white, emerald is a fun accent colour to embrace. 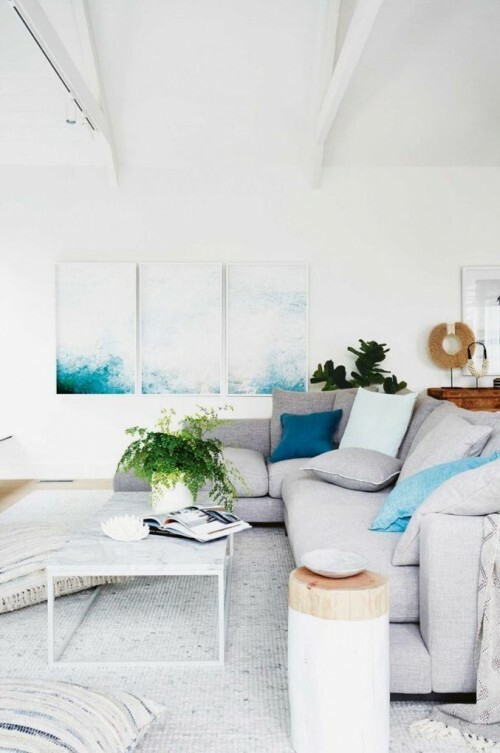 This interior shows that when using bold colours such as teal, you don’t need to add much for the colour to have major impact. Just a few touches here and there are enough to keep your interior interesting. Orange often gets a bad rap. It can appear very retro if paired with brown, but put it with grey, hello cool interior. 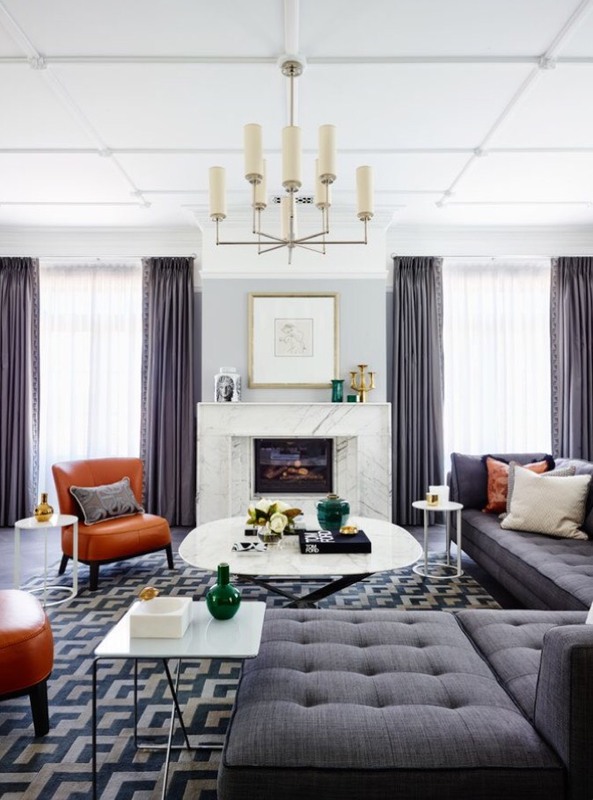 Splashes of orange with darker charcoal tones can make for a sophisticated interior. This elegant interior with a hint of orange. Image courtesy of Greg Natale. Not far behind pink is yellow, coming in a close second in the best friend stakes to grey. 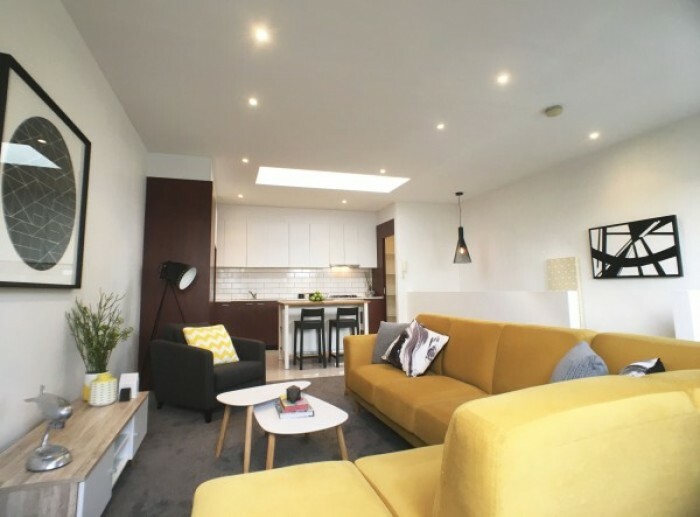 Is your grey interior space flat and lifeless? Add a hint of yellow and its instantly springtime. This yellow sofa brings this grey toned apartment alive. Styled by Leeder Interiors. In classic and traditional interiors, this combination exudes sophistication and luxury. The white adds freshness and modernity to the space while the taupe/porridge tones add an earthy warmth to the grey. Navy and grey are a match made in heaven. 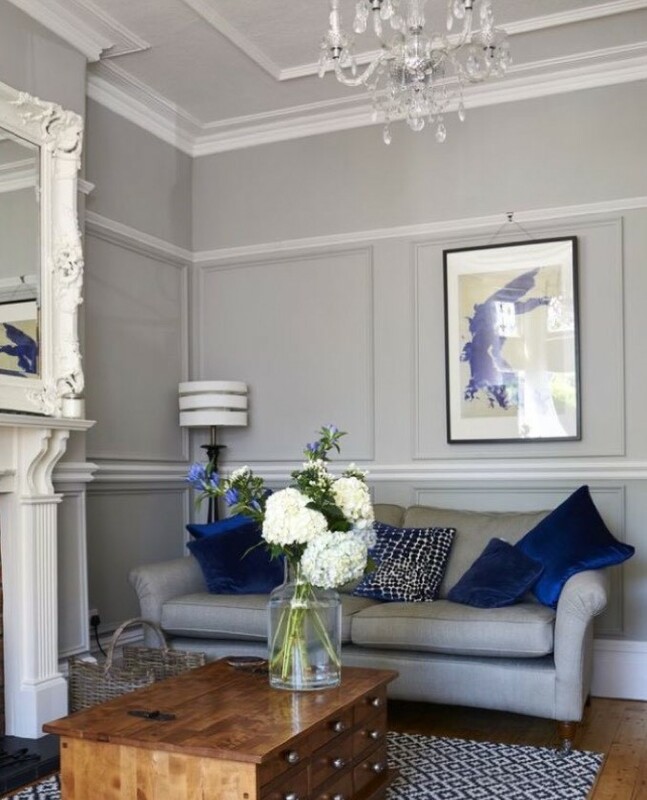 With touches of white, the navy adds a masculine depth to an interior. This interior shows that this combination succeeds with modern or traditional elements. Previous Previous post: Dining room decorating ideas to take your space to the next level….